Farming for transmog gear is a thankless task. There are a number of ways you can do this and none are efficient in terms of gold per hour, but there is a way you can do this relatively quickly especially if you have access to flight which is killing rares as almost all rares drop green items (or if you’re lucky blue/purple gear). But flying high above the crowds of mobs hoping to spot a rare spawn isn’t easy, heck it is damned near impossible. Thankfully there is a tool that is perfect for the job, good old NPC Scan. 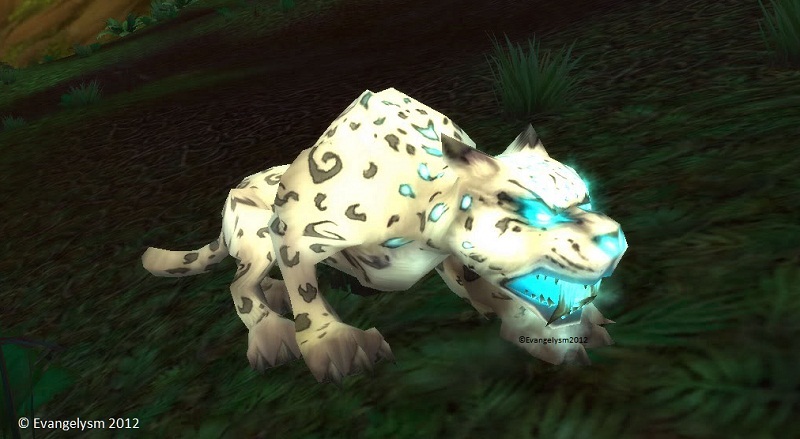 The trouble we have with NPC Scan is that by default it only includes the rares for the achievement rares in Outland and Northrend plus the rares in the Cataclysm zones and the rares we want are largely in the Azerothian 1-60 zones. Which is where my amended file comes in really useful as it includes all the rare spawns to be found on Wowhead as of patch 4.3. I have used thsi file for a few months and shared with some friends and all is OK no bugs or anything like that. If you’re wanting to install and use this be warned there are a lot more rares around Azeroth than you realise. If your timing is good you can hit 4 or 5 rares per zone and as most zones are lowly populated and have around 10 rares it happens a lot. Another warning, after installing this file when you open the NPCScan UI you will get a few second of lag because of the length of the list. Your in game performance is unaffected though. If you don’t run NPC Scan already you can download that from Curse.com and I would also recommend getting WoW Launcher Plus, which isn’t an addon but a replacement for the standard Wow Launcher. You still get all teh relevant news but it comes with some nifty features including deleting the cache of rares that you have gathered since your last WoW session. Download and installation instructions are below and once installed in place of the normal “_NPCScan.lua” you simply fly around and grab the rares as you see them. Personally I don’t actively farm these mobs, I just do my archaeology and grab the rares as I pass them. If you download this file and use it please leave a comment below so and hopefully I can persuade Saiket, the author of NPC Scan to add the list into the addon. Delete the “Cache” sub-directory inside your World of Warcraft folder. e.g. “C:Program FilesWorld of WarcraftCache”. Your installation of World of Warcraft may be in a different location. If it is you will need to change “C:Program Files” in steps 3 and 5 to your installation location. Nice! I'm so gonna try this for a while!